I'm focussing my reading/reviewing this summer on debuts - including first crime novels from authors known for a different genre. Mostly British but I hope to throw in the occasional US or NZ author. 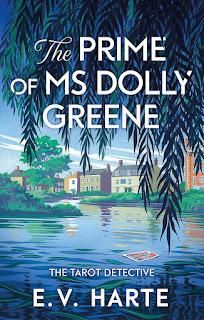 My second entry in this feature, is E V Harte's The Prime of Ms Dolly Greene. 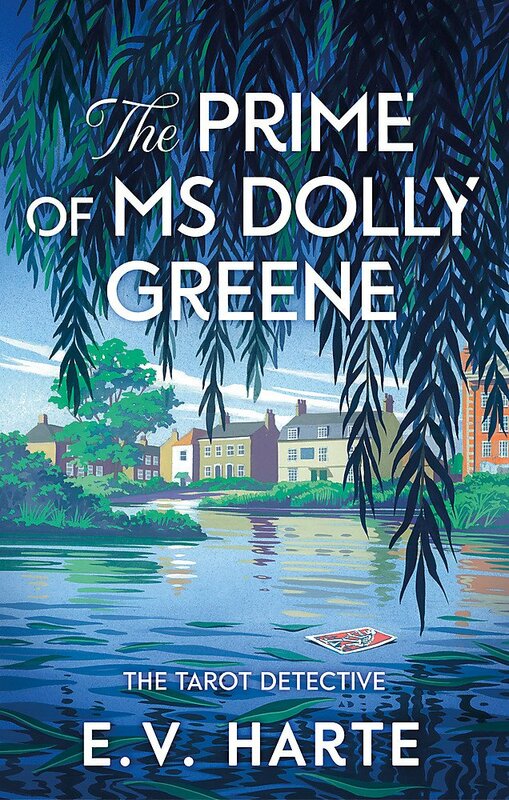 THE PRIME OF MS DOLLY GREENE is the first book in the Tarot Detective series and introduces the eponymous Dolly Greene. Dolly is scraping by after her divorce. She lives in a tiny one-bed terraced house along with her college-attending daughter, Pippa, and makes her living giving tarot card readings. When she reads the cards for a young woman, Nikki, she foresees bad things for Nikki and even gets a vision of a bruised face. Nikki says she was recommended to Dolly by Dolly's older neighbour, Maurice but Maurice later denies this. When the body of a woman is found in the nearby Thames, Dolly wonders if it is Nikki. Especially when she cannot get in touch with her. It's only when there is a death on the street that Dolly starts to detect, with the assistance of a local and handsome police sergeant who is quite willing to keep Dolly up to date with the investigation(s). The isolated nature of the street that Dolly lives in – with the properties fronting a cycle path – lends the story a village feel with all the residents knowing each other's business and their stories being quite entwined. The Tarot back ground is unusual and interesting and Dolly is a likeable character. The crime story, however, does take a while to get going and Dolly does little to find out if the dead body is Nikki until she is more directly affected. This has a traditional mystery feel to it, as indicated by the gorgeous cover, but it also contains some very modern language and sexual references/activities. The second book in the series, THE CASE OF THE FOOL, is out now. E V Harte is the nom-de-plume of novelist Daisy Waugh.